Da Nang is not only the destination of bridges, rivers, but it also is the paradise of thousands of delicious dishes at very cheap prices. 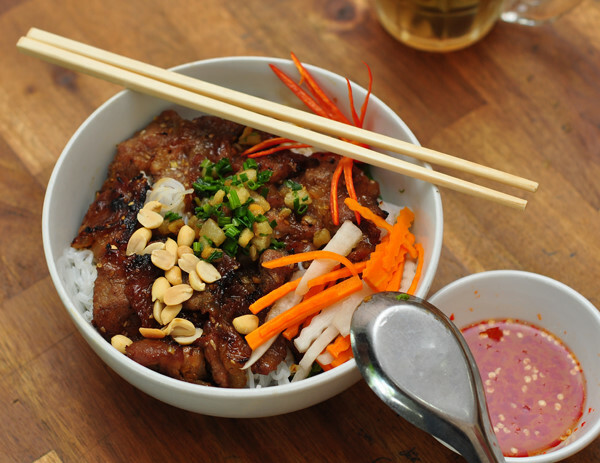 With only $2 – $5, how can you find the best eateries in Da Nang? After referring from many food “hunter”, here is the list of the 3 most famous to places to eat when coming to this city. 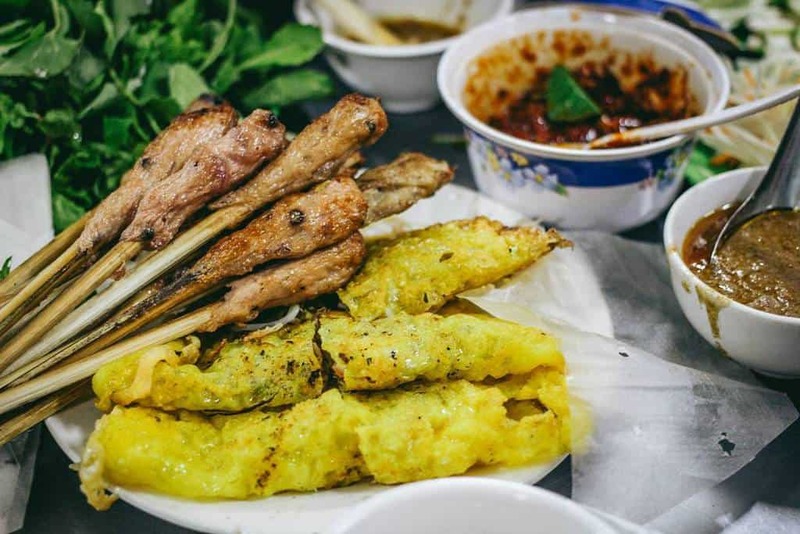 Located on the famous Hoang Dieu street, Banh Xeo, Nem Lui Ba Duong has been a famous restaurant for many years. This is a shop selling a variety of dishes from Bun Thit nuong, grilled beef, pancakes, etc. However, the most favorite dishes are Xeo cake and Nem Lui. The address is actually down a passageway which is a bit of a surprise when you follow the Street numbers. It’s really worth the effort to visit. Just find a table and sit down, they will do the rest and bring your pancakes, salad and dipping sauce with the rice papers for making your rolls/wraps. You will also receive a side of delicious pork skewers as part of the standard offering. The price for 1 person is only from $2 to $5. At Bac My An Market, there is no lack of good food. 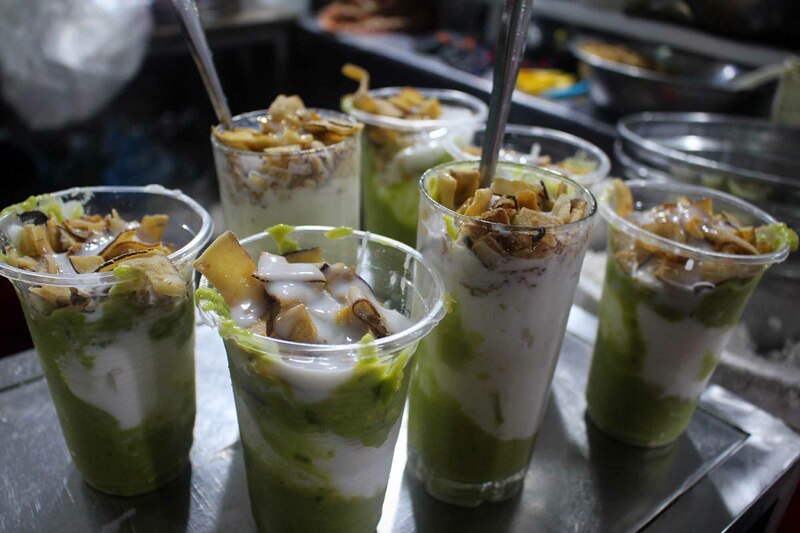 However, everyone coming here visit the small stall sell avocado ice cream and sweet soup of Van aunt. This stall is now a special place offer one of the most famous specialty of Da Nang. 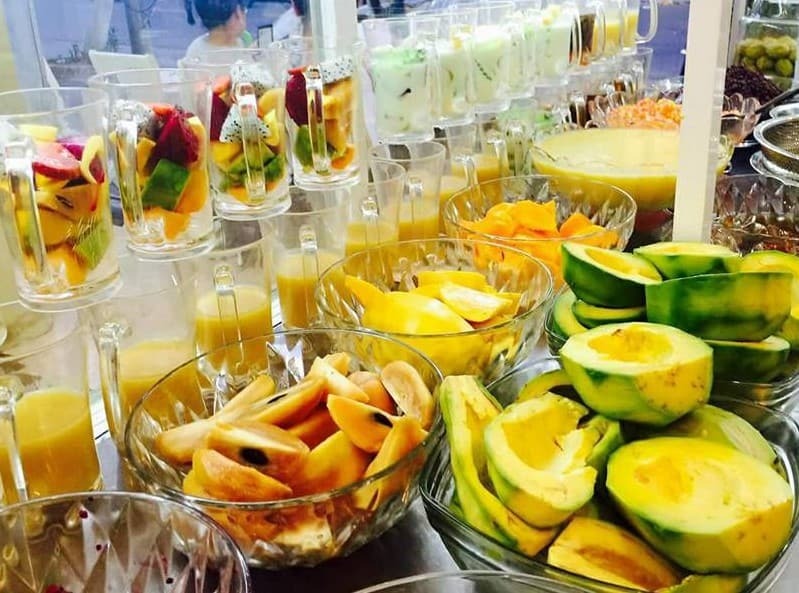 It is always in the list of must-visit eateries with cheap price in the most livable city of Vietnam. The place is always crowed by guests but the serve is very quick. The avocado smoothie with coconut ice cream is a heavenly combination. It has no decoration, just a room with tables & chairs. However, both avocado ice cream and sweet soups here are tasty and you definitely should try. The price range is only from $1 to $1.5. It is not difficult to find banh mi carts anywhere in Da Nang. However, at a little stall call Banh mi Ba Lan, you can eat the best banh mi in this city. Coming to this place, you can easily see a lot of local people as well as tourists queuing up to get their freshly made Banh mi. The shop is often very busy but they serve up banh mi at incredible pace. The price of banh mi here is as cheap as chips although not as cheap as others. With from $1, you will be full for the rest of the day. There is only one choice for you here. It is the one with pork ham. If you are not a fan spicy Banh Mi, order yours without chili because the spiciness is somehow mind blowing. 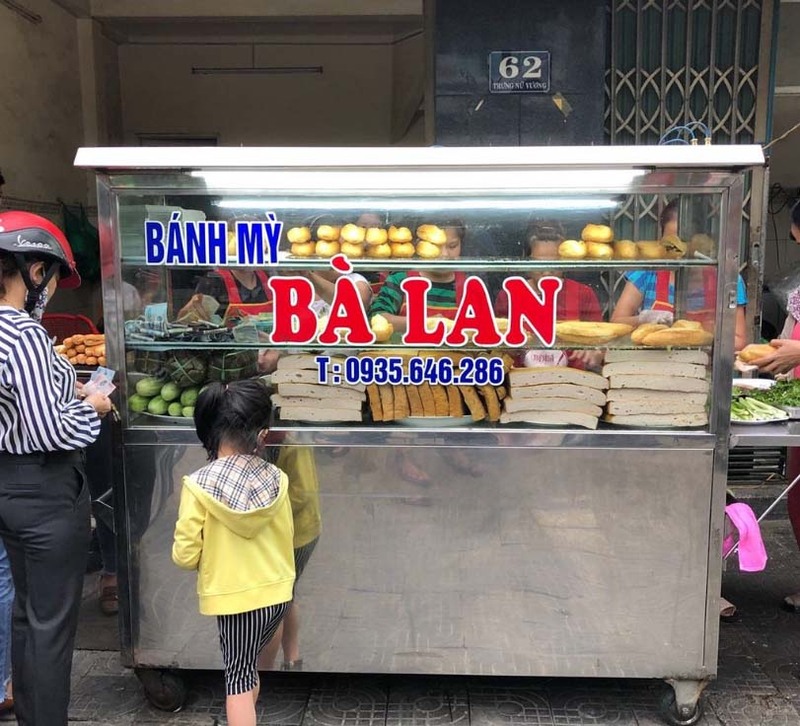 Banh mi Ba Lan does not offer table for you to eat at the stall. You can only buy then take it away. The bread at this cart is always at its best quality. It is crispy but still soft, vegetables are fresh and the meat is fantastic. This is definitely a must-go place if you love Banh Mi. 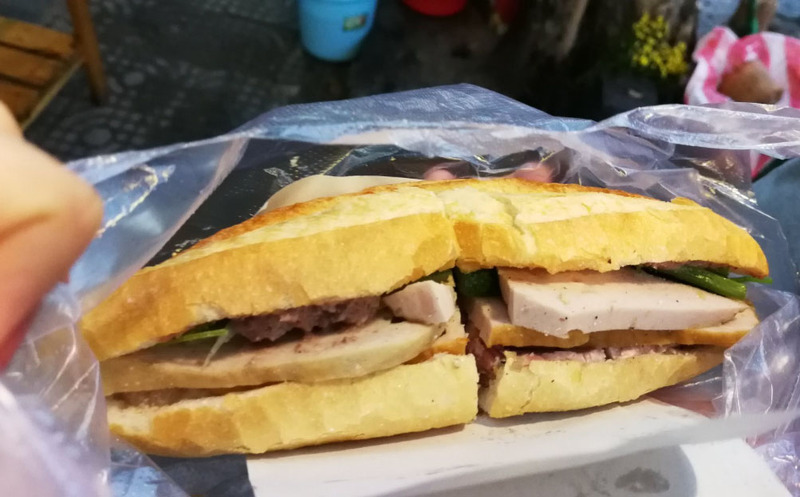 This entry was tagged banh mi, da nang, danang, nem lui, street food, sweet soup, vietnam, xeo cake. Bookmark the permalink.